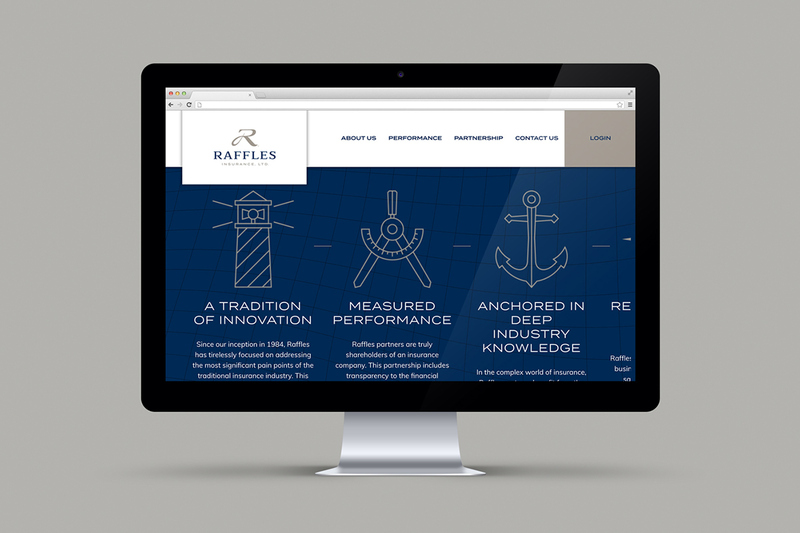 Raffles Insurance is a 30-year-old insurance company that needed a refreshed look and voice. 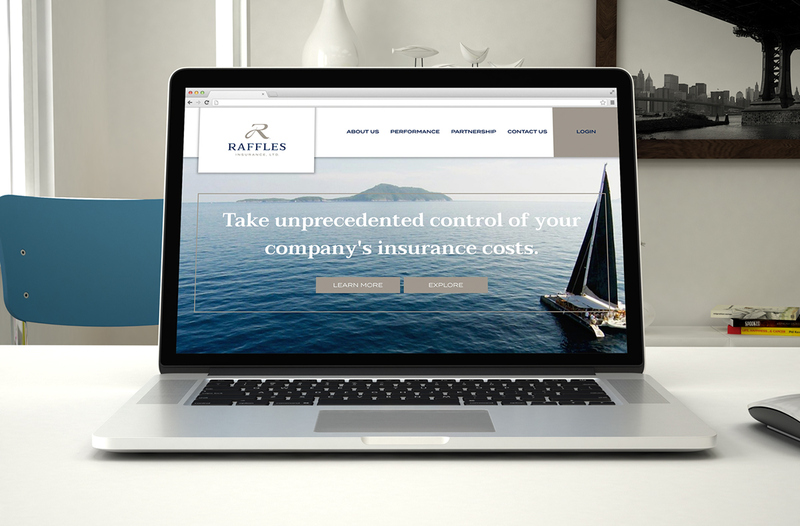 We had the great honor of updating this brand, which is the country’s first heterogeneous captive insurance company, and build the platform for its future growth. 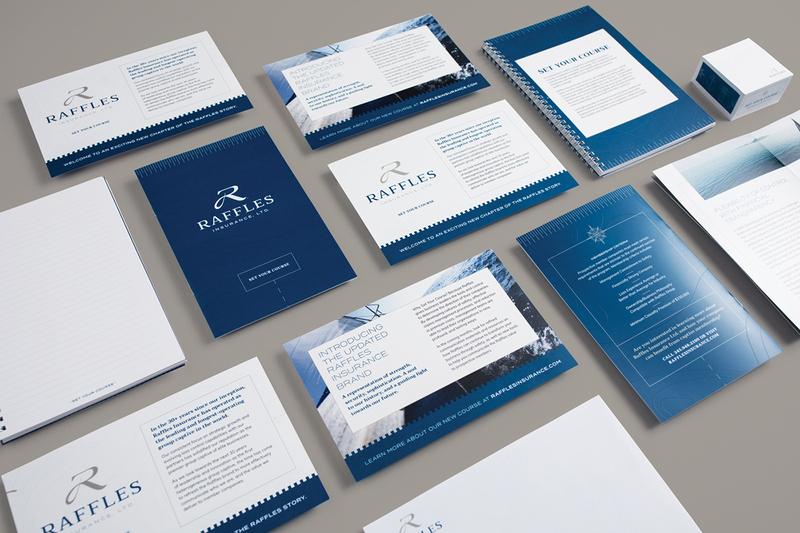 After an extensive interview and research process, we worked on redefining the brand essence, voice, and positioning. 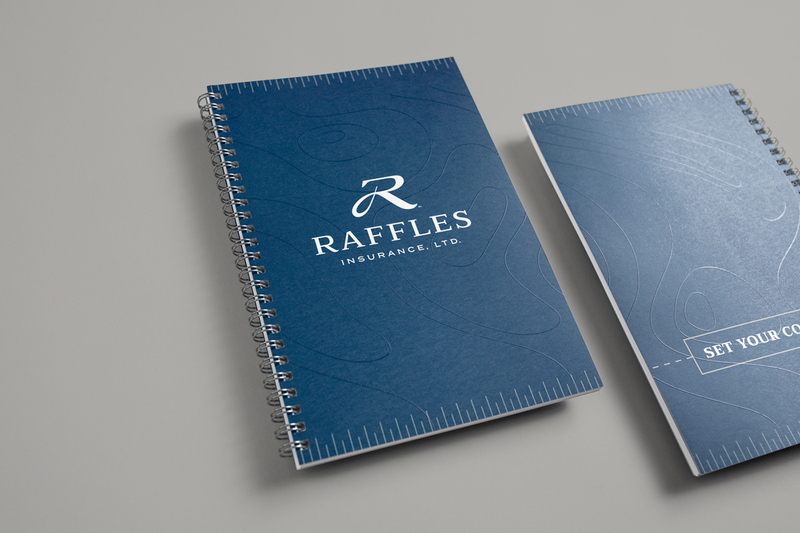 From there we did a comprehensive redesign of logo, tagline, website, promotional materials, conference design, and recruiting tools. 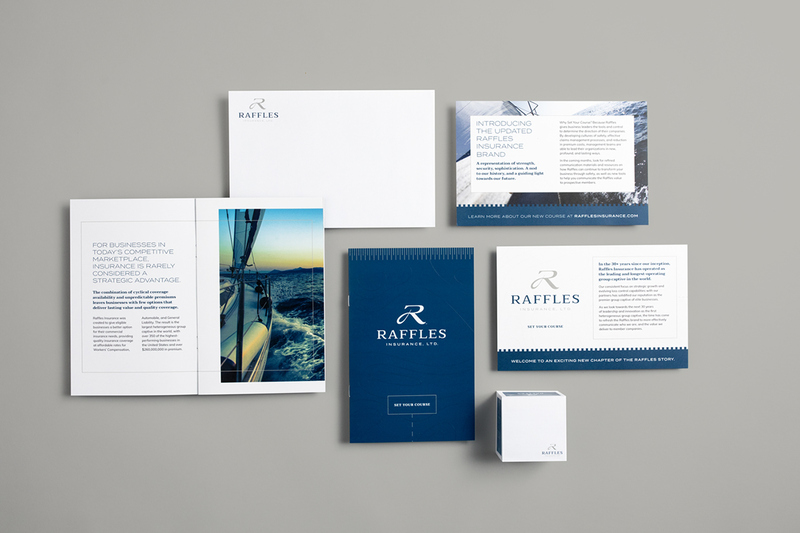 Every print piece was redesigned and updated to carry the voice and speak more directly to various personas. 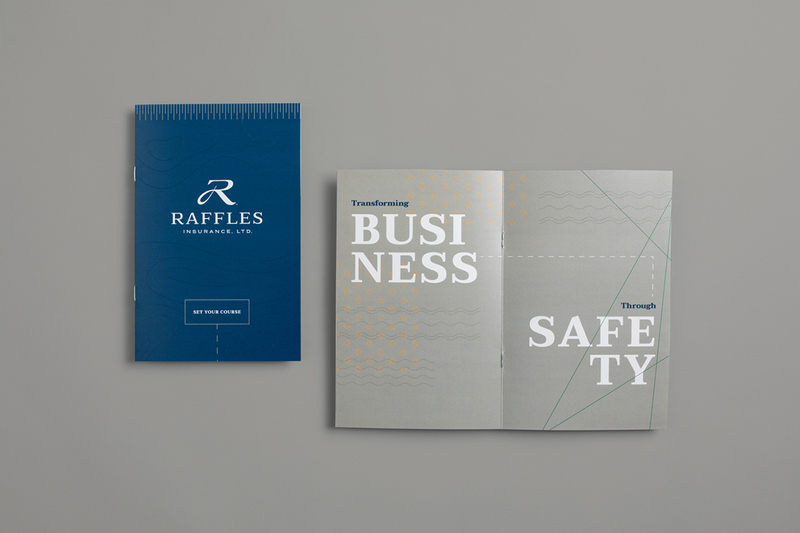 Large, bold type was used to highlight key words and focus that are the core of the Raffles Insurance brand.The iconography was carried throughout the brand experience, often used to highlight key takeaways. 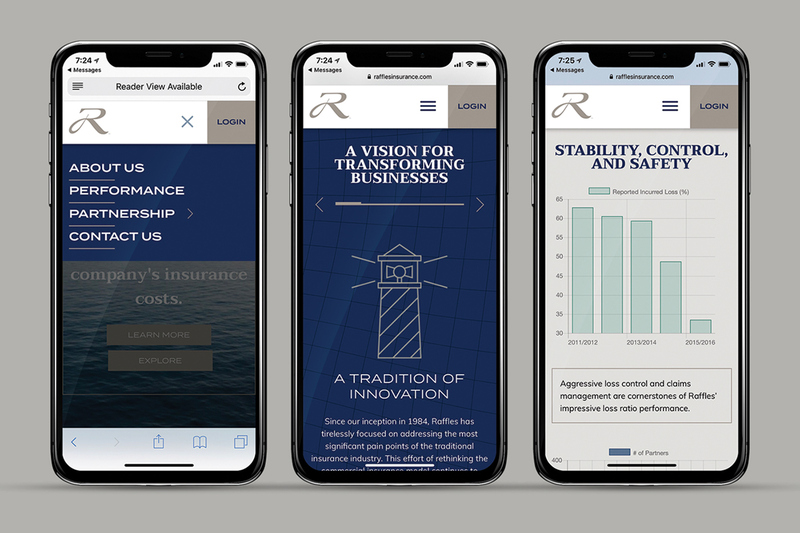 An easy-to-use mobile experience featured simple navigation, interesting, iconography, and charting.Themed photography helped support the concept of navigating today's insurance challenges.